I am from a place called Palakkad in Kerala which has very close proximity to Tamilnadu and could be called as a border district. Most of us here speak both Tamil & Malayalam and are very much evident of the cultures and culture differences between us. I have noticed a particular trait from my fellow Tamil Makkal (people of TN) that one cannot force or threaten them to do anything. They can get as hot blooded and furious (evident from their movies) and sometimes vocal as well. But they understand the human way, a way of love and trust and will be there with you until death. 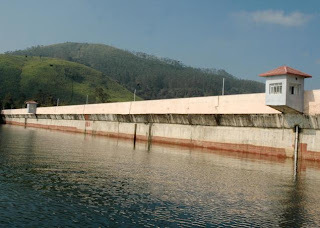 My intention is here is to educate everyone (especially Tamilians) who visits this blog and exchange ideas from a larger audience on Mullaperiyar Dam. As responsible citizens if India and as fellow human being its your responsibility too to understand the plight of many. Offlate I have been researching about the Mullaperiyar Dam issue. A conflict and difference in interests between Kerala and Tamilnadu governments. Rather than handling the issue amicably Kerala government is persisting on trying to force upon T.N government to abide the laws. A law in India is as good as its not there, given the 'n' number of loopholes and delays in judicial mechanisms. On the other hand the T.N government has taken it up as a 'matter of pride' though it portrays the issue as 'Agricultural'. The tussle between 2 states is an ongoing affair and has heated up for the last 4-5 years. Political pressure tactics, gheravoo and strikes are planned and executed by both sides and have been successful upto a limit. But many are forgetting the plights of people who live by the shores of Mullaperiyar Dam. The whole community, clan, population, flora, fauna in this area is already under severe threat and if the dam BREAKS (touch wood it would not) all the above will be cleaned up by ravaging forces of water. It will be more like a man made TSUNAMI. Leaders like Vaiko are raking up the issue and creating unwanted political mileage to himself and his party, but the worst part in this exercise is that he is disillusioning the Tamil population. A big group of Tamilians are misinformed and have misinterpreted that Kerala government is planning to create new dams to restrict water flow to T.N and in turn is trying to the slash down the agrarian growth of the state. Such is the level of ignorance that many ware unaware of the age of the dam, its location and the effects of it when it breaks down. The existing cordial relationships between the states is disrupted for the 'prime' motives of certain industrialists and central government in particular. 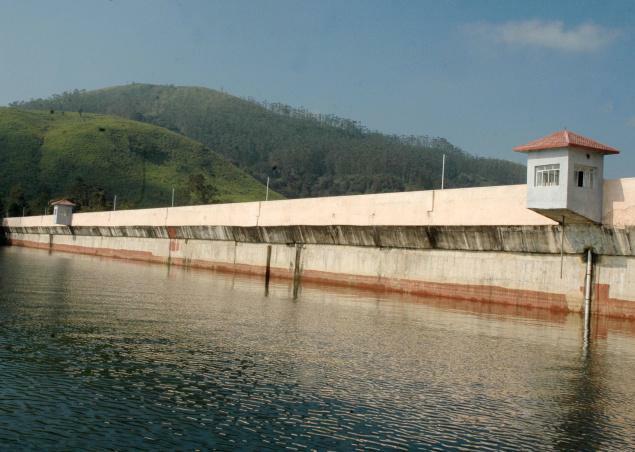 The main point of concern being the strength of Mullaperiyar Dam (constructed way back in 1895). And the easiest resolution is to reduce the water level and construct 2 another mini-Dam in the below areas of Mullaperiyar. What it does is that it helps to maintain the water level in Mullaperiyar at a safer level and also these check dams will be used for deviating water flow to Tamilnadu (as it is happening now). The 4 year construction time at a cost budget of 600 Crore is being rejected by TN govt stating the reason that it will cause a humongous Agriculture loss (there are no statistics to prove this). But for that sake the whole area and population under jeopardy should not be overlooked by the T.N government. Both Kerala & T.N government should shed their egos and work for a bigger cause. And as citizens we must educate the ignorant ones too. Maybe there will be a quicker resolution to this than the hide and seek game inside Supreme Courts and expert analysis. And finally a plea to the Malayalees as well, Please do not ignore this as an issue of Idukki district alone. There are families who are in dire straits with no political backing on this issue. Irrespective of Right, Left, United, Religious front beliefs we must help out our fellow brothers. There is a huge amount of time we spend fighting over Mammotty\Mohanlal, SFI\KSU, Religious, Atheist or any other 'unwanted' topics. Spend half that time in educating yourselves and others around you on this very very serious issue. Its still not too late. A beautiful article on this topic, in case you are still interested.